One of the benefits North Carolina public schools offer parents is transparency. Public school accountability is a standard practice for North Carolina going back to the early 1990s, and the North Carolina School Report Cards provide parents with information on such key issues as student performance, teacher experience, and school safety. 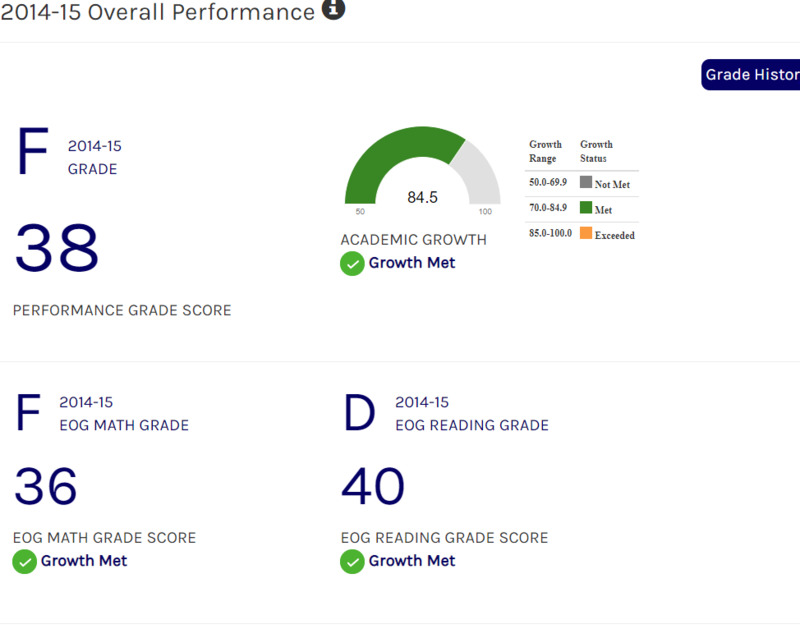 Data are provided at the school, district, and state levels to enable parents to compare the performance of their student’s schools with others across the district and state. Legislation (G.S. §115C-83.15) passed during the 2013 long session of the North Carolina General Assembly provides an additional measure of school performance in the form of School Performance Grades. 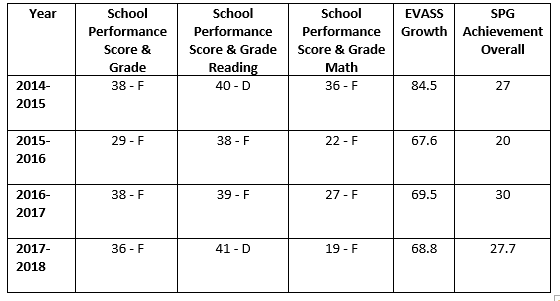 Beginning with the 2013-14 school year, the annual North Carolina School Report Cards display a letter grade of A, B, C, D, or F for each school in the state. The School Performance Grades are based 80% on our school’s achievement score (student proficiency) and 20% on students’ academic growth. At Charlotte Learning Academy, our achievement score is based on how well our students performed on Grades 6–8 Mathematics, Grades 6–8 English Language Arts/Reading, Grade 8 Science, Math I, English II, Biology End of Course Tests, ACT, and the 4-Year Cohort Graduation Rate. The purpose of this letter is to inform you that we received a School Performance Grade of “F” for the 2017–18 school year. Although we are committed to improving this score, it is important to remember that just as no one single score or grade tells the whole story of a student, neither does it tell you everything about the performance of a school or the opportunities that our school provides. Charlotte Learning Academy also had the achievement of a school growth score of 68.8%. This means that 68.8% of our students grew academically from their 2016-2017 school performance results. 83.8% of our students in Reading and 62.9% of our students in Math grew academically from the previous school year. This shows that we can impact learning outcomes with our students’ overtime by showing growth with our students. This tells us that we are moving students from where they were when they came to us in the beginning of the year leading up to testing at the end of the year. This is of course an accomplishment, but we are still committed to moving our students to proficiency range. We have added in class blocks that focus on remediation and tutoring opportunities. We have moved from a full on-line textbook and resources school to providing all classrooms and subjects with hard cover textbooks accompanied with on-line resource tools. All Math I students are enrolled in a dual online, NCVPS Math course. After school tutoring opportunities will begin very soon for students who require extra instruction and time on various subject foundations. We have provided throughout the year and will continue to provide opportunities for parents to join us on Title I nights to learn how you can help in the academic success of your child. Please take advantage of these opportunities to be a part of your child’s education. We hope you will closely follow your student’s academic progress and work with his or her teacher(s) to help ensure they stay on track academically. Working together as a team, we can improve not only how well our students are performing individually, but how our school is performing as a whole. There is nothing more important to us than ensuring that your student is ready for the next step in their academic career. I look forward to working with you to make sure your child is on track for success. If you have any questions or concerns regarding our School Performance Grade and how we plan to improve, please don’t hesitate to contact me personally.